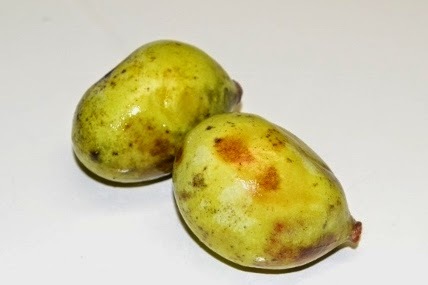 Growing up, I remember singing a song about pickin' up Pawpaws (see below) but I never knew what Pawpaws really were until a few years ago when attending a parks outdoors event. I picked up a brochure and my husband and I were interested in Pawpaws. Anyway, over the weekend hiking, we came upon a Pawpaw patch. I spied a fruit high in the tree and my husband wondered how people picked them. Shake the tree, I said. I figured if they were ripe, they would fall off, and I was right. I think we were at the tail end of the season and shook several trees and gathered up the fruit. The pawpaws smelled sweet, like a tropical fruit. When we got home, I looked up recipes. You can eat them plain or add them to desserts. I saw recipes for pies, breads, cookies and muffins. I personally think they would also be awesome in a smoothie. I decided on a modified bread recipe. The Pawpaw has been described to taste like banana and mango. It definitely has a mild mango-like taste and an overripe banana texture. No one in my family thought it tasted like banana. Most people do not eat the skin as it is slightly bitter. I found the easiest way to get the meat out was to cut them in half and scoop the meat out with a spoon, as you would a kiwi. They have rather large seeds that the pulp likes to adhere to. It does take some time to get the pulp out, but it is well worth it for the bread I made with it. Preheat oven to 350°. Cream Crisco and sugar together. Add eggs one at a time, mixing well. Mix in pawpaw. In a small bowl, combine the dry ingredients and slowly add to egg mixture. Bake in a greased and floured 8"x 4" pan for 45-50 minutes or until browned and a toothpick comes out clean. After a few minutes, remove from pan onto cooling rack. Serve warm with butter. Here is the song about the Paw-Paw Patch. My daughter pointed out that the tune is the same as Bumpin' Up and Down in My Little Red Wagon. Guess they had to change the words along the way because people no longer knew what Pawpaws were. I also found an interesting blog story and video on NPR The Pawpaw: Foraging For America's Forgotten Fruit. 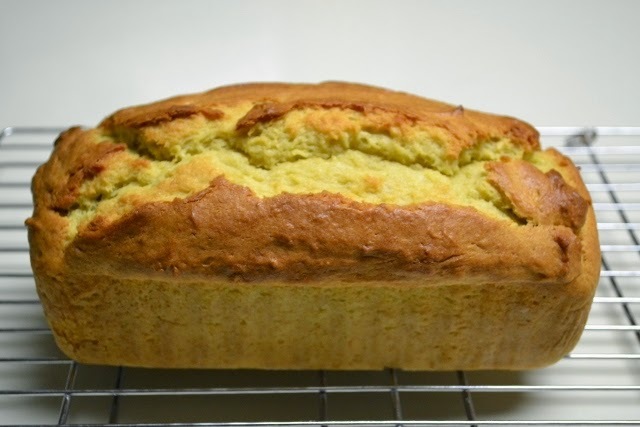 Your loaf of pawpaw bread looks really good. Need to give this recipe a go. Your loaf of pawpaw bread looks really good. Is a slice of this bread similar to that of banana bread? Thanks for sharing.